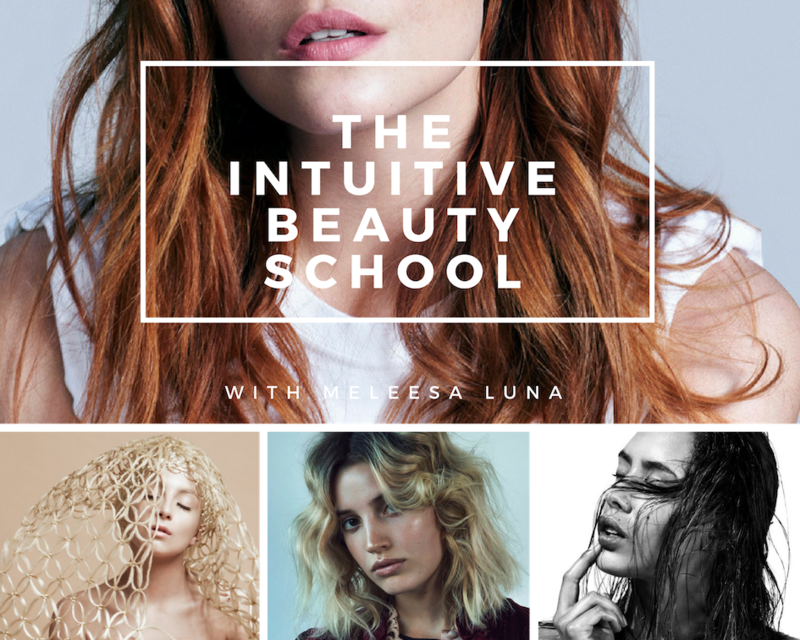 The Intuitive Beauty School is a series of classes for stylists to help you grow your business outside of the technical skills and integrate wellness with beauty so that you are able to embody and deliver clients a transformative experience. Through 1:1 coaching, you will be guided through an inter-personal journey where you will discover how best to fulfill your purpose as a salon professional, reach goals and build your target clientele. that result in mind, body, and spiritual enlightenment. Intuitive Beauty nurtures your true nature and gives you the space and guidance to uncover the intuitive beauty wisdom that is an emotional fabric that speaks to who you truly are, from the inside and out. sets you apart from your competition as THE ONLY choice for your future clientele. “The Intuitive Beauty School fills a gap in the beauty industry for conscious beauty professionals. Who you are as an individual should not be separate from who you are behind the chair. *All sessions are available online or in person. In the digital age, personal connections are key to growing your business. Building the emotional bridge with your salon clients starts with a Conscious Consultation. Learn the art of deep connection and communication by tapping into your intuitive powers. In this session, you will learn to lead powerful conversation with your clients. By engaging with them in the consultation, you will uncover the key factors important to your clients’ lifestyle and how they want their style. You will also learn how to read the signs of their body language and what it communicates. From there, you can then create a roadmap for their hairstyles and maintenance regimen that fit seamlessly into their lives. This interactive program will explore the art of the conscious consultation by role playing the experience. You will take home a questionnaire and a consultation template that together will be your guide to customizing the best experience for your clients. Before you can take your business to the next level, know who you are… and who you would like to be! Your professional and personal goals are deeply intertwined, and before you take your next steps, take some time to bring clarity to your voice and your mission. In this class, you will discover your Conscious Voice - the knowledge and full potential that is already within you. We will go through a journey of self-discovery, celebrate the art of creation, refresh and revamp your mission and your vision. This interactive process will guide you to find your voice and help you listen to that creative genius. You will learn to identify your values, recognize your gifts, harness your skills and talents, and ultimately, define your audiences (e.g., clients). You will be guided through a meditation, create a vision or “dream” board, make lists of limiting beliefs and turn them into affirmations. By discovering and defining your true voice, you will get clarity on you your goals and have an inspiring foundation to create or reignite your passion. With knowledge and self-awareness, you will be ready to build a brand that represents and promotes the true purpose. You have a clear idea on about who you are, but are you putting out the right message to attract the clients you want? Developing your brand image and marketing yourself is vital for any business, including your own, especially in the fast-paced world of social media. In this class, you will learn not only how to identify your target audience, but also how to refine your brand to market yourself and influence and inspire your audience. We will explore ways to effectively use your social media activities with intention and to tell your own story. With your brand in place, you will see how positive attention to your persona and business can influence and grow your business to and get the clients you want!